"Jurassic World" rampaged through box office records this weekend. Most notably, the Universal film brought in a $524.1 million around the world, making it the highest-grossing global opening ever. That total beat the $483.2 million that "Harry Potter and the Deathly Hallows - Part 2" made worldwide in 2011. "Jurassic World" also made an estimated $208.8 million in North America over the weekend. That made the dinosaur thriller the highest-grossing U.S. opening weekend ever over the $207.4 million U.S. total of "The Avengers" in 2012. Final reports on weekend sales will be released on Monday. "Jurassic World" also pulled in $44.1 million at giant screen IMAX theaters worldwide, beating the $28.8 million that "Iron Man 3" made in 2013. The colossal debut for "Jurassic World" greatly exceeded the expectations of many Hollywood analysts, who believed the film would make about half as much as it did. The U.S. audience for "Jurassic World" was split pretty evenly between male (52%) and female (48%) moviegoers, and 61% were over age 25, according to studio data. 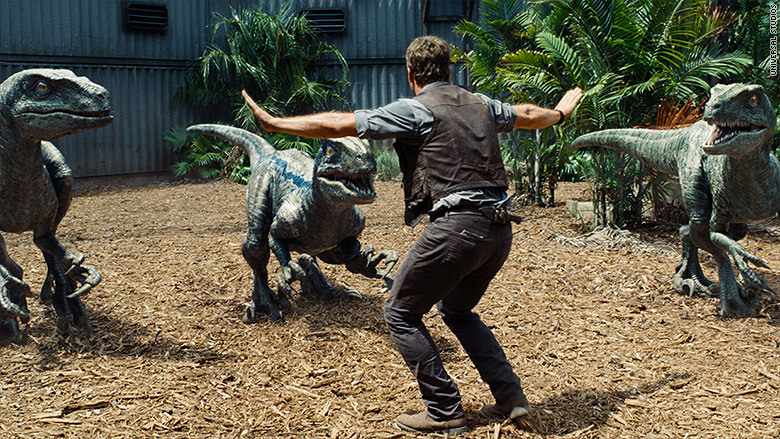 The box office was no match for Chris Pratt the dinosaurs of "Jurassic World." Steven Spielberg's classic movie first took audiences to an island overrun with genetically created dinosaurs in 1993. Since then, the "Jurassic Park" series has hauled in over $2 billion worldwide. "Jurassic World" opened in more than 4,200 theaters. It is the fourth installment of the franchise, and the first film since "Jurassic Park III" in 2001. The long awaited sequel brought audiences back to the island from the first film, and looks to have benefited from marketing itself to the nostalgia of the original. 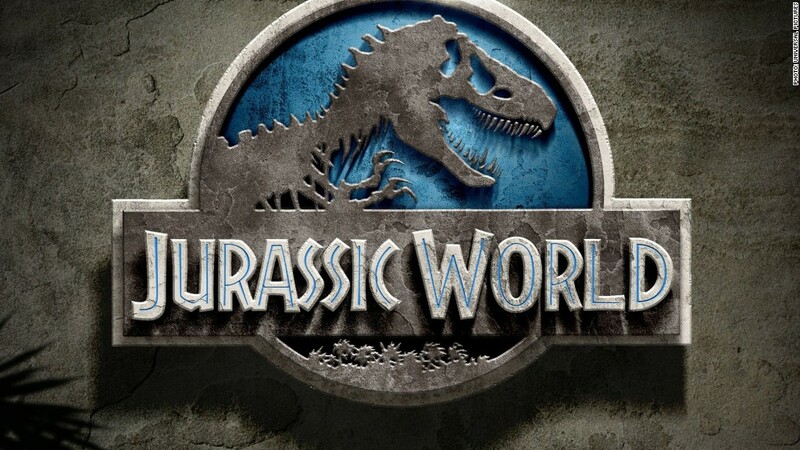 "'Jurassic World' has in the most perfect way reconnected the dots of the original film and effectively recreated the Spielbergian magic that made the first film such a quintessential touchstone," said Paul Dergarabedian, a senior media analyst for Rentrak (RENT). Away from stirring memories, it also helped that "Jurassic World" had Chris Pratt as its lead star. Pratt is one of Hollywood's biggest actors. Last year, he starred in blockbusters "The Lego Movie" and Marvel's "Guardians of the Galaxy." Thanks to the big premiere of "Jurassic World," Universal continues its hot streak. The studio's 2015 hits includes "Fifty Shades of Grey," "Furious 7" and "Pitch Perfect 2." And the studio still has some heavy hitters to come: The Mark Wahlberg comedy "Ted 2" opens at the end of the month, and the "Despicable Me" sequel "Minions" opens in early July. With a bad Memorial Day, the summer season slumped with three down box office weekends in a row. But the thunderous opening of "Jurassic World" might mark a turnaround.